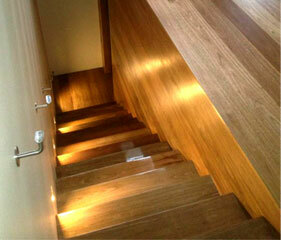 Beautiful 160 mm wide Spotted Gum timber floor, feature wall and staircase. Installed, sanded and polished in Norwood, South Australia. 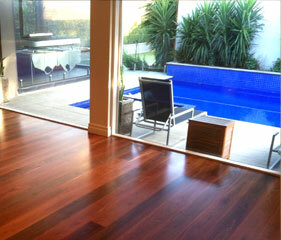 Sydney Blue Gum engineered floorboards installed, sanded, polished and finished with a water base 2 pac satin gloss. "Patrick is an excellent worker and I would recommend him for all your timber flooring needs."